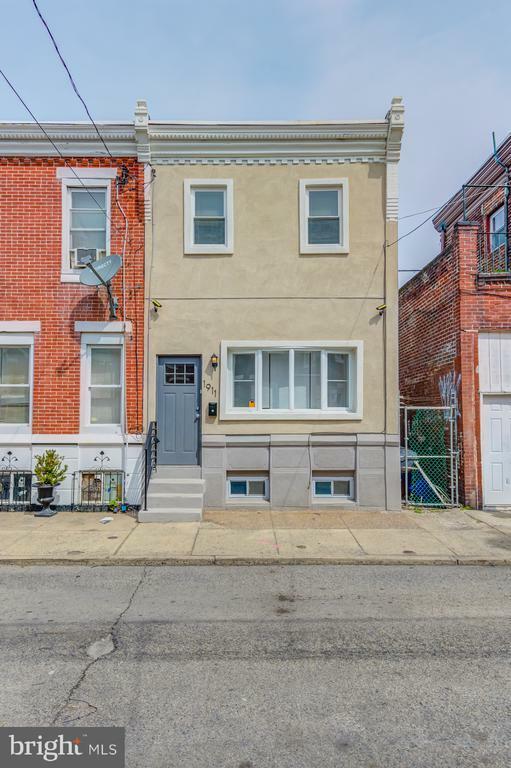 Perfect in Point Breeze! Fantastic three bedroom on a quiet block with readily available street parking. 4 year old renovation. Great open floor plan with awesome exposed brick. Gourmet kitchen with granite counter tops, shaker cabinets and stainless steel appliances. Hardwood flooring and recessed lighting throughout the first floor. The outside brick walled patio is perfect for an herb garden and grilling. 3 good sized bedrooms on the 2nd story with a modern hall bathroom. Nice little balcony in middle bedroom, to get some fresh air without going downstairs. Finished basement with good ceiling height and with LG front load washer and dryer AND a half bathroom. Great spot to walk to local restaurants (Sardine Bar, south Philly Tap Room and 2nd District Brewing Company to name a few). Walking proximity to E. Passyunk, Graduate Hospital, Rittenhouse and Center City. Also close to major shopping at Quartemaster Plaza (Home Depot and ACME). Fast access to 76 and 95 highways makes it great for commuters.